Picking up from where Tax Debt & Bankruptcy: 6 Facts to Know (Pt. 1) left off, here we will resume our discussion regarding some of the most important facts people need to know when it comes to tax debt and filing for bankruptcy. Fact 2 – Tax liens cannot not be discharged through bankruptcy. While some personal income tax debts may be dischargeable through bankruptcy, tax liens cannot be discharged. A tax lien, which may also be referred to as secured taxes, is usually placed against a person’s property when that individual has failed to meet some tax obligation. The IRS typically puts a tax lien on, for instance, someone’s home when the IRS wants to be sure that it will get the funds a person owes for some taxes. While people may have the option to get certain tax debt discharged through a bankruptcy case, once a tax lien has been imposed for that outstanding debt, there will typically be no chance of discharge of that debt by filing for bankruptcy. Instead, these people will need to resolve their tax liens (e.g., by paying them off in full or working out a settlement with the IRS) before the property can be sold to resolve other debt issues. Fact 3 – When fraud or tax evasion may be an issue, tax debt will not be dischargeable through bankruptcy. While tax debt related to personal income taxes may be dischargeable through bankruptcy, tax liens and tax debt related to fraud cannot be discharged with a bankruptcy case. If a bankruptcy court or the IRS suspects that a person may have committed tax fraud or tax evasion on his income taxes, then any tax debt that a person may have related to the fraudulent or illegal tax returns will not be able to be discharged through a bankruptcy case. Additional penalties may be added to outstanding tax debts related to fraud and/or tax evasion. If a person files taxes jointly with a spouse and the spouse commits tax fraud or tax evasion on the spousal tax returns, both spouses can be held liable for repaying the owed debt and for any criminal charges that may be filed in the case. The willful intent to defraud the government of tax funds will have to be proven to the court in order to prevent the discharge of specific income tax debts. 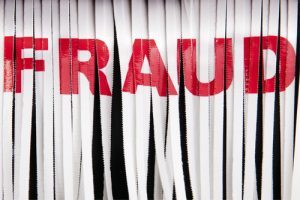 When tax fraud may be suspected in a bankruptcy case, having an experienced bankruptcy attorney on your side will be critical to resolving these allegations while getting the bankruptcy case processed as efficiently as possible. Don’t miss the upcoming conclusion to this blog series for some final important info about tax debt and bankruptcy! Are you or your business overwhelmed by a massive amount of tax debt? If so, Denver Bankruptcy Lawyer Arthur Lindquist-Kleissler can help you figure out your best options for resolving this debt and your financial issues. From simple to complex bankruptcy cases, Mr. Lindquist-Kleissler can always be trusted to maximize utilization of Colorado Bankruptcy Law to effectively guide his clients through bankruptcy and help them achieve the best possible outcomes to their cases. Contact us by calling (303) 691-9774, or email us using the form on this page. You will pay nothing up front to obtain trusted, professional advice regarding your case and your options.